It's the time of year when seal pups are out on the beaches of California and they need their space. Please don't approach seals on the beach. 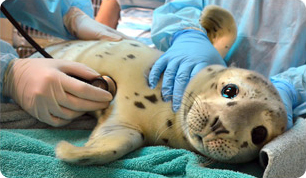 Instead call our 24-hour Hotline at (415) 289-SEAL if you see a seal in distress.